Last year when we planted our tomatoes we had high hopes of having sufficient fruit to make a ton of spaghetti sauce to get us through the year. What we didn’t know is that the soil we had was not good enough. Our plants grew tall, almost 6 feet. They were full and bushy with tons of small fruit and flowers. But before the fruit could grow full size and ripen…the bottom end, the blossom end furthest from the stem developed a black, sunken, leathery patch! Upon research I learned that the condition is known as Blossom End Rot. This is most commonly caused by soil lacking in calcium and lack of consistent watering. It can also be triggered in the earliest set fruits if the soil is too cold or the plant is not sufficiently hardened off. 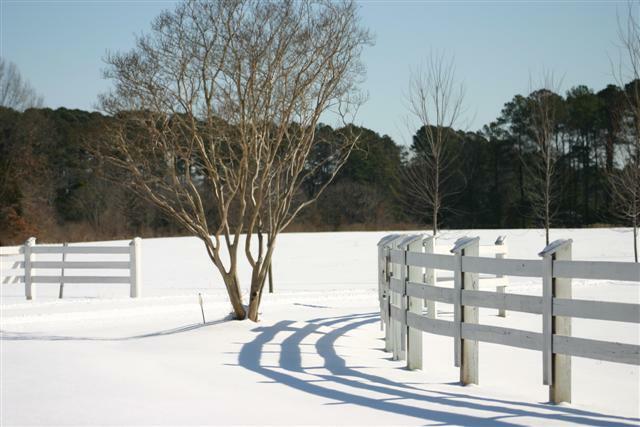 There are all kinds of chemical fertilizers to handle this issue, and if that is the route you want to take then please ask questions of the people at your local nursery or plant store. They should be able to direct you. But for me personally, I do not eat anything I cannot pronounce (meaning applied to the plant, absorbed by the plant, then consumed by me) or known to be chemical (man made). What I have done is to dig the hole for the plant slightly deeper than is normal. At the bottom of the hole I added powdered milk, lime, and crushed eggshells. About ½ inch of dirt was then placed above that, and then the plant. Around the base of the plant I sprinkled crushed eggshells to slowly leach additional calcium into the soil with each additional rainfall. 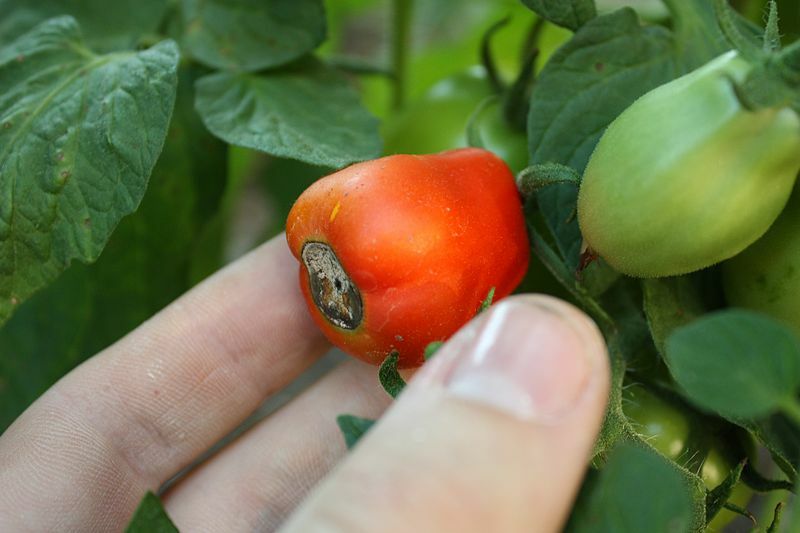 The crushed eggshells also have the added benefit of stopping slugs from approaching the stem of the tomato plant, as they do not like the feeling of slithering over the sharp edges of the shells. Through the season I can add powdered milk to the surface of the soil if it looks like even more calcium is needed. To help combat the water end of the issue we have installed a sprinkler system (not perfected yet) and deeply mulched all the tomato plants to help protect the moisture from evaporating. As I write this we are in a heat spell with temps over 95 degrees Farenheit. 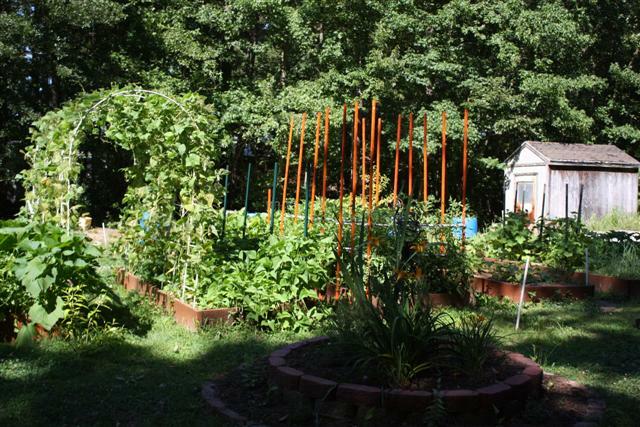 The plants are looking great, the mulch and watering system seem to be working well. Our fruits are nearing full size and not one sign of the blossom end rot is here so far! Alternative treatments for Asthma are many…from herbs to homeopathy, from breathing exercises to meditation, etc….But most of the ‘accepted’ Western medical doctors are hesitant to accept the possibility that these methods can help in conjunction with their prescriptions, let alone do the job alone! There is insufficient research done on any of these possible treatments for most doctors to endorse their use; and as long as there is insufficient research being funded and conducted it will remain the same! Also the research needs more than funding and conducting …it also needs to be accomplished by people who are not prejudiced before hand by Western medicine to keep the results pure! Dietary Changes: There have been limited numbers of studies that show that diet influences Asthma significantly. Therefore fixing specific issues could contribute just as significantly to its treatment! Increase Water consumption: Drinking water may seem a little too simple, but…..water will help thin out the mucous secretions that increase during an asthma attack, making it easier to clear the lungs and bronchial tubes. Milk elimination: Milk has been shown to be one of the leading dietary causes of allergies, which are one of the leading triggers of an asthma attack! When I was growing up it was considered general knowledge that consumption of milk (or other milk products) could increase mucous production! Coffee may help in an attack: Because coffee (black coffee no sugar or milk added) is a stimulant it can often encourage the lungs to function more normally. It will help to break up the mucous and alleviate the tightness in the chest and throat. But this is not necessarily recommended for daily use! Ensure daily consumption of magnesium in the diet: Magnesium has bronchio-dilating effect in the body. Studies have shown that magnesium levels are often low in people experiencing Asthma. Food sources of Magnesium are: almonds, spinach, cashews, soybeans, peanuts (including peanut butter), potato, blackeyed peas, pinto beans, brown rice, lentils, kidney beans, bananas, etc. Increase Exercise: Often exercise can cause an asthma attack, but in good asthma management the goal is to return the patient back to normal or near normal activity, and that includes exercise. Just try to tell a child they cannot run, and jump, and ride their bike! I dare you! Regular exercise helps the Asthmatic in multiple ways including, but not limited to the following benefits: stress reduction, increased energy, and sleep improvements. Exercise also lowers your risk for obesity and heart disease, common problems with adult asthmatics!! Recommended types of exercise include: volleyball, gymnastics, baseball and wrestling, and any other exercise that allows occasional breaks in the activity! 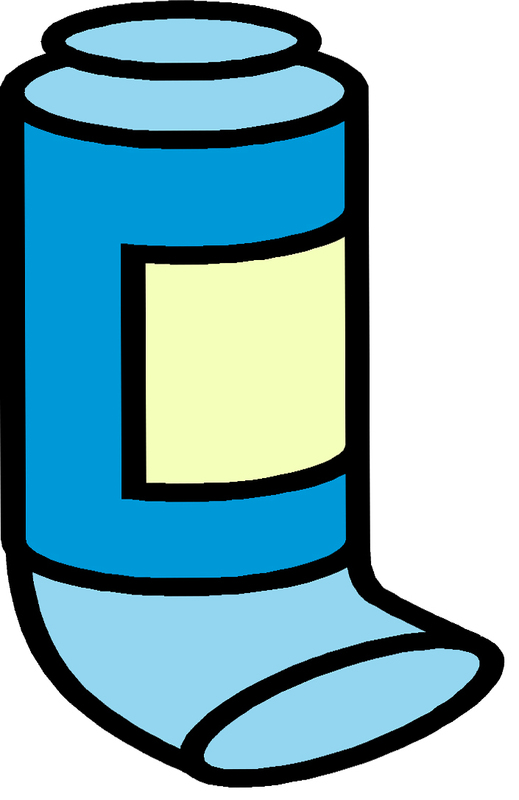 Use of precautions: Use common sense when exercising….never exercise when you feel ‘off,’ and use some of the following suggestions to prepare for each session: Stretching exercises to help warm up, avoid allergen areas (…use an exercise pad when working out on carpet, avoid areas where there is high pollen or car exhaust). Breath through your nose, rather than your mouth. Make sure you sleep with your chest and head elevated! Acupuncture: Acupuncture has been used to treat Asthma because it balances the positive and negative flows of energy in the body, and that is precisely how Acupuncture is believed to work. Asthma is believed to be an imbalance of these opposing energies, with acupuncture restoring the stability to normal levels. It is believed by many to restore lung function and to reduce the severity of an asthma attack should it occur. Research however has not been able to prove the effectiveness of acupuncture in asthma, but rather the results are inconclusive. The most recent Cochrane Collaborative Review feels that the information thus far does not allow recommendation of this treatment. Aromatherapy: Essential oil blends can reduce the severity and occurrence of asthma attacks, and help relieve them once they commence! The best time for aromatherapy treatments is between attacks since you do not want the scent to make the problem a worse issue. These Essential oils can be incorporated into chest rubs, steams, humidifiers, the bath or in massage oils. Biofeedback: Biofeedback is the use of electronic devices to help the patient control or influence normally automatic body functions such as heartbeat and breathing. In controlled studies it has shown to have benefit for most patients, where they maintain control of their asthma while reducing their inhaled steroids. Herbal Medicine: Many herbs will decrease the inflammation and relieve bronchio-spasms. Homeopathy: Homeopathy uses very small amounts of natural substance to stimulate the body’s immune function and natural defenses. Each person, and each asthma attack is different so the choices here are prescribed as a tailored approach to each patients needs. Massage: Massage is believed effective due to the relaxation in the whole being that can be achieved. It can be done using aromatherapy massage oils to enhance its effectiveness. Massage can retrain the muscles to a state of relaxation and reduced stress. Although not well studied, massage can be beneficial by relieving a known trigger for asthma attacks, stress. Additional research is needed in this area. Pulmonary Therapy (Breathing Exercises): It has been demonstrated that people with asthma that use Breathing Exercises can reduce their use of medications by up to 86%. At Sydney’s Woolcock Institute of Medical Research and Melbourne’s Alfred Hospital conducted this research and released their findings in the August, 2006 edition of Thorax. Relaxation Techniques – Meditation: It has been found that people who practice meditation and the resulting relaxation have a marked decrease in asthma symptoms and attacks. Meditation can eve help to bring an active attack under control. Often the fear of the attack will trigger panic which will make everything worse. The meditation can counteract this phenomenon. Yoga: Through gentle stretching and exercise Yoga helps to relax the body and the mind, allowing improvement in circulation and respiration. It will relieve tension and assist the body in its own healing. Folklore: These are for entertainment only! 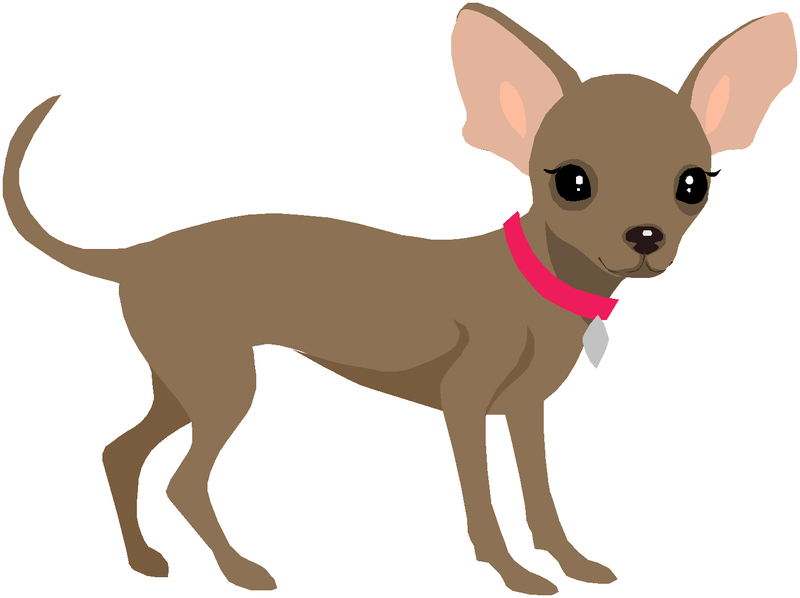 Own a Chihuahua: in Mexican Folk Medicine it is believe to cure asthma! To cure asthma: Drill a hole into a black-oak tree at the height of the patient’s head. Place a lock of hair in the hole, and drive a wooden peg into the hole to hold the hair in place. Now cut the peg and hair flush with the tree bark. When the bark has grown over the peg and hair, hiding it from sight and the hair has re-grown, the asthma will be cured! Asthma could be cured by tying a live frog to the patient’s throat. When the frog died the disease was “completely absorbed” by the frog. Kill a steer, cut open its gut, and place the patient’s feet into the abdomen. When the entrails have cooled the asthma will be cured. Boil the comb of a hornet’s nest and sweeten it with honey, take to cure asthma! Asthma is a condition of the lungs that causes an obstruction of the airways. If feels like there is an inability to take in air, but it is actually the inability to release the spent breath. Although it meets many of the requirements for COPD, it is not one of the conditions included in the COPD (Chronic Obstructive Pulmonary Disease) umbrella, since that includes diseases that are considered irreversible, and asthma is considered reversible. An Asthma Attack is a sudden onset of the acute symptomology defined as asthma. Its symptoms include wheezing, coughing, chest tightness, shortness of breath and mucous production. A blue discoloration of the nails and lips may occur due to lack of oxygen exchange! There are different types of Asthma that can be identified by the symptoms, causes of onset, and response to treatment that occurs. In an attempt to manage asthma symptoms it is vital that the ‘triggers’ that cause sudden attacks be identified and avoided. Some typical triggers are smoke (including cigarette), pet dander, aspirin, mold, air pollution, and other allergens. Once identified total avoidance is key to successful treatment, often allowing the prevention of medication being prescribed. Where trigger avoidance is not sufficient to avoid an asthma attack medication is often recommended. There are several types of medicines used; quick-relief to stop sudden onset symptoms, and long-term control to prevent symptoms at all if possible. The quick-relief drugs include the rescue inhalers that more and more people carry on a daily basis. The long-term medications also use a metered dose inhaler on occasion, but long-term incorporates the use of oral medications for control of symptoms. When all else fails oxygen is administered, and/or Magnesium sulfate may be administered intravenously for its bronco-dilating effects. In the past drugs such as theophylline were used on a regular basis, but now they are not considered as effective as the inhaled beta-agonists. In the next blog I will be looking at some of the alternative treatments now being utilized to manage the symptoms of Asthma…some of them are as old as the hills, some are new, some are old used in new ways! After posting everyday for a solid year I needed to take a break, now I need to start this New Year fresh, with new ideas! So once a week (or so) I will post about a condition, disease or disorder. It will include a description of the situation being presented and aspects of the accepted Western medicine treatments. Also to be discussed will be alternative treatments. It is my hope to present a practical and different approach to the well discussed subject of healing! The next few posts to follow the condition post will discuss plants used in the treatment of aforementioned malady. 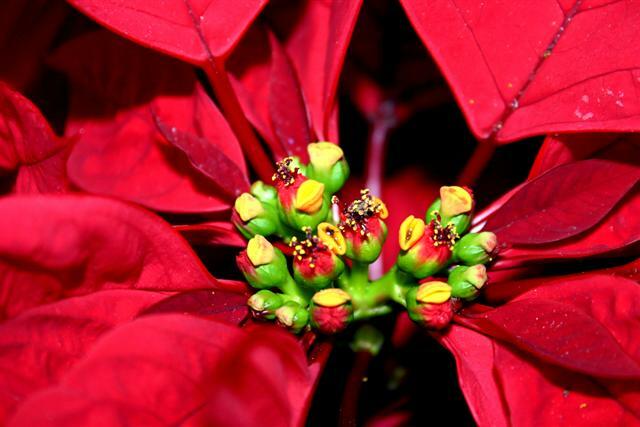 This plant, indigenous to Mexico is probably the most recognized flower associated with the Christmas season. It was held in such high esteem by Montezuma, the emperor of the ancient Aztecs that he had the plants potted and brought into the mountains where he reigned. The plant did not do well there (it does not tolerate below 50 degrees Fahrenheit), so had to be brought in frequently! The Poinsettia has been referred to as the Christmas Star because of the resemblance of the bracts that surround the true flowers to stars. The bracts (or leaves) are pointed and circle the center yellow flowers in a radiant pattern. Among the Aztec the flower represented purity. In Mexico there is a sweet story of how the Poinsettia came to be. According to the legend a young girl was on her way to celebrate the Christ child’s birth, but she was too poor to afford a gift. So she picked a bunch of scraggly green plants to present to him. She placed these before the alter and they blossomed with bright crimson star shaped flowers. This was a reminder that the most humble gift, given in love is perfection. Among the Mayan people (at one time) these flowers were considered sacred. The Aztecs used the red bracts to produce a red dye. As a folk medicine it was used to treat skin issues, warts, and toothaches. There is one other myth that needs dispelled. This plant is not a toxic killer…to people or pets! In 1919 an urban legend was born after a child died after ingestion of the plant. The cause of death was never proven, but it never happened again! The latex of the plant can cause issues for those sensitive to it causing irritation to the skin, eyes and mucous membranes. If sufficient quantity is consumed it can cause nausea and vomiting, but NOT death.